Recent Events, Posts, and Research News from CNHH Members. The Canadian Network on Humanitarian History sends you news from the last five months. Send your further news by using the “Contact us” tab on the website: http://aidhistory.ca/contact-us/. Join us for a seminar next Tuesday afternoon on “Catholic Missions, Liberation Theology, and Humanitarianism”, a conversation with McGill historian Catherine Legrand. You may join by Skype, and download some of her articles. http://aidhistory.ca/event/catholic-missions-liberation-theology-and-humanitarianism/. The CNHH will hold a “business meeting” at lunchtime on the first day of the Annual Meeting of the Canadian Historical Association (see their updated program soon for the room). A longer workshop might not be necessary, at this point, given the energy put in the Conference of last December in collaboration with Global Affairs Canada. The organisers are collecting papers for an edited volume to be published at the end of the year. Some of the attendees at the December 2016 Workshop on the Archives of Foreign Aid organized by CNNH in Ottawa, Canada. Sarah Glassford’s account of the international conference on the history of the Red Cross (cross-posted in the US by Hist Phil). 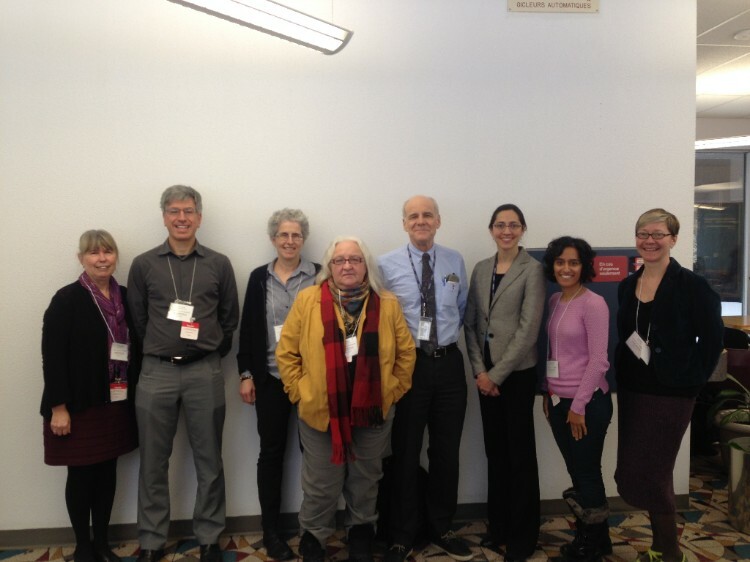 Tyler Owens’ account of the December workshop on Archives of Foreign Aid organized by the CNHH in Ottawa. David Meinen’s discussion of the notion of “climate refugees”. Julia Van Drie’s account of the December conference will be posted shortly. Research assistants Tyler Owens and Julia Van Drie have worked with CCIC on a project of historical podcasts for Canada’s 150th anniversary, with Keith Spicer on maps of his travels for the writing of The Samaritan State, with the LAWG for the digitization of slides and the archiving of their material, and with our Irish colleague Kevin O’Sullivan’s project on the Canadian press and humanitarian crisis. Practicum student Nicholas Hepner has worked with CUSO on a history based on alumni testimonies. RA Jacob Forrest gave assistance to the Kevin Bruschett’s by working at LAC. RA Sonya DeLaat has started to work on the common CNHH project on pictures of refugees using the CIDA Library as a base. The CNHH and Carleton University Disability Research Group are collaborating on a project on assistive technologies for blind people who are migrants or refugees, etc. We hope to finally write a larger MITACS project for a graduate student for a term. Two other Montreal groups have sought assistance for research assistantships, etc. Sarah Glassford’s book on the history of the Canadian Red Cross is finally out. Here is where to order a copy. We will start working on a SSHRC application for a Partnership Development Grant to be submitted this Fall. This will include collaborative work of archiving, collecting memories and disseminating knowledge. We will contact old partners and seek new ones. The CNHH projects to become an affiliated committee of the CHA. We will fill the paperwork, keep the governing structure as collaborative as possible and give you the news soon. We welcome ideas about this transition. We will ask the Journal of Canadian Studies to postpone the project of a special issue on the history of Canadian aid for one year (to 2019), so that it coincides with the grant application we would like to try again for next fall. To Sean Eedy, who became a doctor in January, for the maintenance of the website. To Jill Campbell-Miller, who maintains the CNNH Facebook page. Copyright © 2017 Canadian Network on Humanitarian History, All rights reserved.